Rich Ferdinandsen receives Hall of Fame plaque from Norma Anderson and Bob Briggs, as Jan Ferdinandsen looks on. Rich Ferdinandsen is a Colorado native who attended schools in Denver and graduated from the University of Colorado with a degree in Economics. He began his flying career at the age of 16, and is certified as a commercial pilot and profession flight instructor. In 1983, Rich was appointed to fill a vacancy as Jefferson County Commissioner. Twice reelected, he served until 1993, providing leadership in planning the beltway around Denver, relocating county government operations and building the current county government center, and promoting the Two Forks Dam. Since 1993, Rich has been an independent licensed securities broker and professional investment advisor, specializing in retirement and estate planning and portfolio management. He was elected to the Jefferson County Hall of Fame in October 2010. 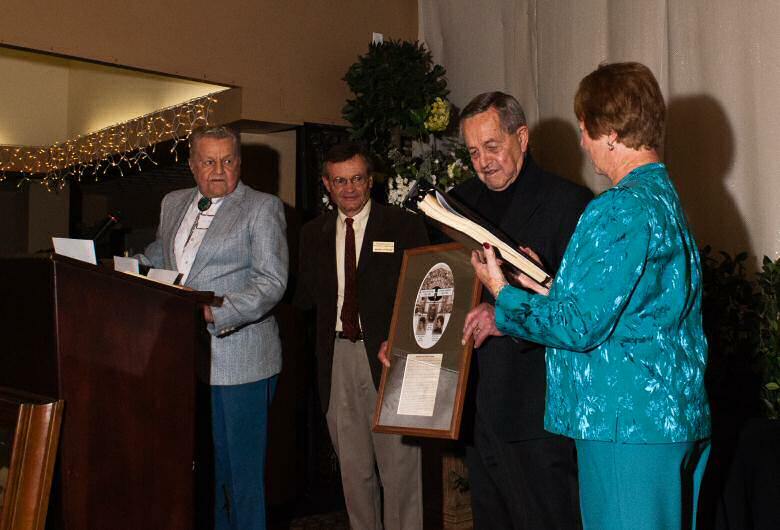 George Rooney, left, and Albert Rooney, 2nd from right, receive Hall of Fame plaque from Bud Weare and Rita Peterson. Alexander Rooney (1824-1895) came to Colorado in 1859 under the spell of the gold rush, but the sober-minded man from Iowa soon turned to dreams of land and cattle, home and family. He brought his bride Emeline Littlefield here in 1862, and on land stretching along the hogback between Morrison and Golden, these original Rooneys raised six children and assembled what would become one of the largest ranches between Denver and the mountains. By the turn of the twentieth century, the oldest son, Otis Albert (1862-1947), would succeed Alexander and Emeline and take the ranch (originally named the Iron Spring Ranch) into its second generation. In the meantime, Alexander set an example of community service for his descendants, serving on the school board and other public roles, but most of his time went toward tending the ranch, raising horses and Galloway cattle. More important as a permanent legacy, he and Otis constructed distinctive stone buildings still in use today, including the main ranch house and historic barn. With blocks of sandstone they hauled from the flanks of the hogback and from quarries near Morrison, they perfected the trademark skill of Rooney stone masonry that has been passed down to great-great grandchildren. Fourth-generation members of the Rooney Family still live in Jefferson County, and fifth and sixth-generation members still occupy the original ranch, which was placed on the National Register of Historic Places in 1975 and designated a Colorado Centennial Farm in l985. The ranch and the family are now approaching sesquicentennial status in Jefferson County. 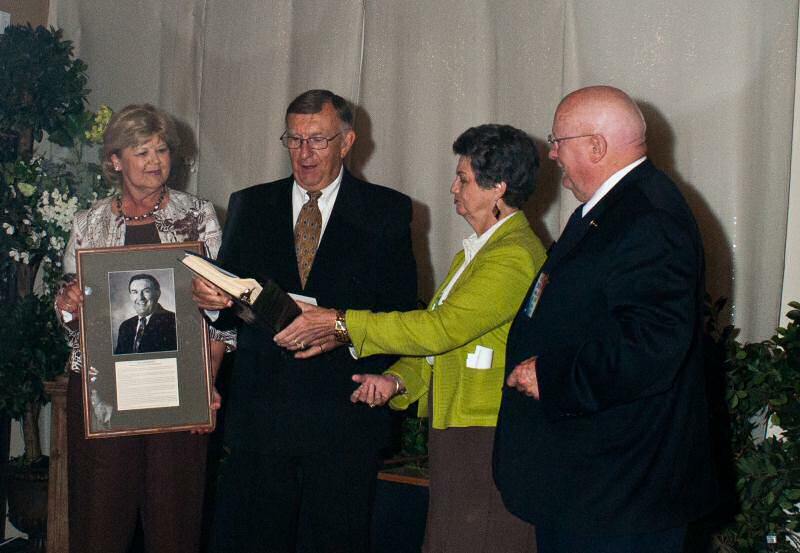 Alexander and Emeline Rooney were elected to the Jefferson County Hall of Fame in October 2010.